UK-based power start up Senseye has invented new software that can help solar businesses to assess the future of their assets as well as reduce operations and maintenance costs by 20%. Is an easy-to-use, online tool that takes data you already have from equipment, sensors and the environment to provide forecasts that keep you one step ahead. Senseye was founded in early 2015 by a team who had previously worked on complex and costly predictive analytics systems, it works by exploiting patent-pending analytics technology to deliver fast business insights without the hard work and expense that other products demand. Senseye is pioneering a way for solar businesses to be able to predict the future of their assets and financial performance by using technology from the aerospace and defence sectors. The technology has already been proven to reduce overall operations and maintenance costs by a significant 20%. Senseye’s founders come from the aerospace and defence industries, where complex condition-monitoring systems are already able to accurately predict engine performance component wear rates, safety failures and optimisation opportunities. 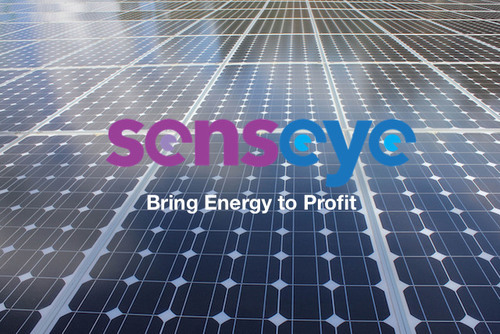 Senseye is bringing this concept to help the renewable energy industry, allowing solar farm operators to be able to share accurate revenue forecasts with their financiers and for equipment performance to be more accurately understood and predicted to avoid sub-optimal conditions and maintenance issues. Simon Kampa, Senseye’s CEO says: “Accurate predictive software has been used for over 10 years in the aerospace industry. Unfortunately, it’s expensive and complex, requiring exceptionally well-trained data scientists to drive it. We’re changing that with Senseye, by giving the renewable energy market predictive technology that people can use without a background in data science and for less than the cost of a solar panel”. The software will also assist in evaluation of equipment performance, which can be helpful in avoiding sub-optimal conditions and maintenance problems. UK-based low-carbon economy proponent Future Solent's Green Growth programme manager Richard Hall said: "The kind of technology used in Aerospace to improve business efficiency, predict faults and achieve a 20% overall cost saving has until now been too expensive for Solar Farm owners and operators to consider. "The simple-to-use prediction software that Senseye is developing will allow businesses to do things like forecast when equipment will fail and what their revenues are likely to be so that they can plan more efficiently and get the most from their assets". Senseye is now accepting applications to join the web-based software trials for no cost, on a first come-first served basis. If you’re interested in knowing more about what the future holds for your assets then sign up at Senseye.